you wanna do WHAT to me? Last edited by Sophie on Wed Jun 13, 2007 2:46 am, edited 1 time in total. OMG .. I see the thread and just want to have a look before going to bed..
What are you doing to me Sophie?? BTW what's the name of the film this pic come from? 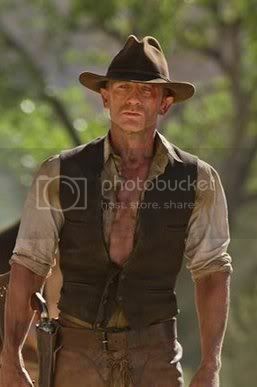 You only live twice or so it seems..
One life for yourself and one for your dreams...And one day I realize that I was addicted to Daniel Craig's blue eyes. Woo! The best thread ever!! Last edited by jen0107 on Tue Jun 12, 2007 11:58 pm, edited 1 time in total. 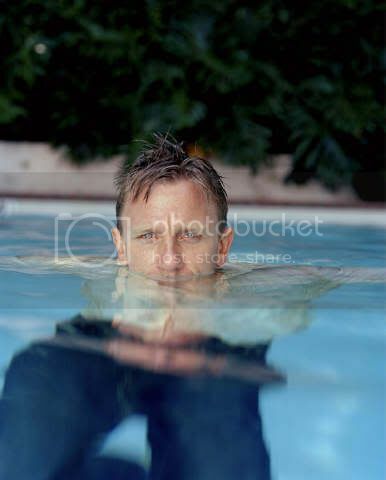 Daniel Craig IS the cause of Global Warming! "I'm just glad I didn't fall off"
Location: FL . have broadband now YEAh ! Thanks my dears for starting this thread I can come up with the ideas but I don't have the tech knowledge to go through them. Ok where are the money shots coming out of the water in CR and tombraider ? Perhaps the Hunger Ménage à 3?